While doing my master in eBusiness Technologies at the University of Ottawa, and as a part of the requirements for graduation, I had to write a Thesis; my topic “Supply Chain Confidence” – my research aimed at probing that even though Confidence is a perceptible variable, supply chain practitioners could quantify it – as a result the Framework for Supply Chain Confidence was created and tested, and here is a sneak peak of the findings. Organizations recognize that confidence is critical to evaluating courses of action thus they are developing and executing policies to support supply chain confidence. In order to build supply chain confidence, there are five key enablers or sources of confidence that must be addressed: visibility, collaboration, compliance, risk and maturity. By addressing such sources and by deploying web-based technologies, developing B2B agreements, and institutionalizing risk management policies; organizations achieve operational excellence and a lean supply chain. One cannot determine which source is more relevant than the others since they act as intertwined elements; it is the company who may identify which sources needs to be addressed to reach its corporate goals. The following are the sources that need to be addressed in order to gain, enhance or restore confidence. Real-time visibility enables confidence as it grants organizations the ability to provide synchronized, accurate data from beginning to end and to identify and mitigate deviation. Visibility allows the supply chain to be transparent; and it guarantees the flow of information is accurate and available at each node of the chain, which enhances confidence among supply chain members. End-to-end deployment of visibility technologies brings several benefits such as an increase in effectiveness, a reduction of inventories and an enhancement in fulfillment rates. Visibility helps organizations to cope with bullwhip effect; since allows organizations to have a complete up and down view of the network so if any problems in the one are known the entire system will be also aware of them which enable enterprises to determine the appropriate actions. Collaboration accelerates companies’ growth; it is as a key feature that leads organizations to develop partnerships, share resources and helps them to meet their corporate goals in a cooperative method without causing adverse impacts each other in their supply chain. At this point, each party is confident that the outcomes will be beneficial for both. In collaboration, the adoption of cutting-edge collaborative technologies and practices between trading partners plays a vital role as it supports organizations to accurately “get lean” which result in an enhancement of the level confidence. 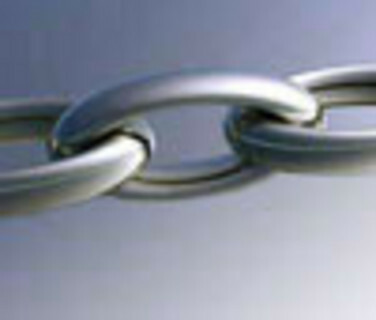 Compliance has been one of the primary drivers in supply chain management. Organizations are seeking document management and information governance solutions to comply with federal procedures; for example Business processes automation applications (BPAA) & governance, risk and compliance (GRC) software. The need to manage electronic records has spawned an industry wide mission to support all types of data such as electronic documents, physical records and messages. Compliance has coped with this requirement by collaborating with trading partners, automating email archiving, and e-discovery processes. Transparency, credibility, and integrity are achieved when the company has excellent policies regarding compliance; these three aspects enable the company to be sighted by trading partners as reliable. Compliance plays a decisive role when achieving supply chain confidence as it assists organizations to mitigate risk. When the level of uncertainty is minimal, level of confidence is high. Risk management enables organizations to identify, evaluate and manage potential disruption within the supply chain. As stated before, when the level of uncertainty is minimal, organizations can be confident they are performing well, and this is usually achieved when corporate has visibility of what is going on at each state of the node. Visibility provides executives with real-time information enabling them to do the right decision and be prepared when a disruptive event occur. Confidence is the result of a mature supply chain. When the supply chain is mature, the degree of uncertainty is negligible, so organizations are confident they are providing exceptional customer service, attaining their corporate goals and achieving operational excellence. The level of maturity enables executives to have a complete view about what is happening at each node of the network, so these can understand the issues that impede supply chain overall performance and develop strategies to address them. The lack of visibility, collaboration, compliance, risk and maturity lead to a lack of confidence mainly in areas such as clients dissatisfaction due to services delivered, the quality of the products and suppliers’ manufacturing capacity, demand forecasts, order cycle time, order current status and inventory replenishment. The greater level of supply chain confidence is the greater level of customer satisfaction. Confidence enables an organization to manage demand uncertainty and risk in a more cost-effective manner; it allows companies to embrace stakeholders’ interests in turn leads to the establishment of a shared position from which confidence is a natural progression. Previous PostTwo Basic Parts of a Low-Cost Website Promotion Next PostWhat is Podcast Video?